Labour had previously decided against adopting the full definition of the IHRA in order to maintain “healthy criticism” of Israel. This sparked mass criticism with many accusing the Labour Party of anti-Semitism. Earlier today before the NEC voted on the contentious issue, there were protests and counter protests outside the Labour headquarters. Some Labour-backing groups, including Jewish Voice for Labour, argued this move would restrict freedom of speech and the possibility to criticise Israel’s actions against Palestinians. Rival protesters supporting the adoption of the new definition branded the Labour as a party “for the many, not the Jew” while wrapped in Israeli flags. 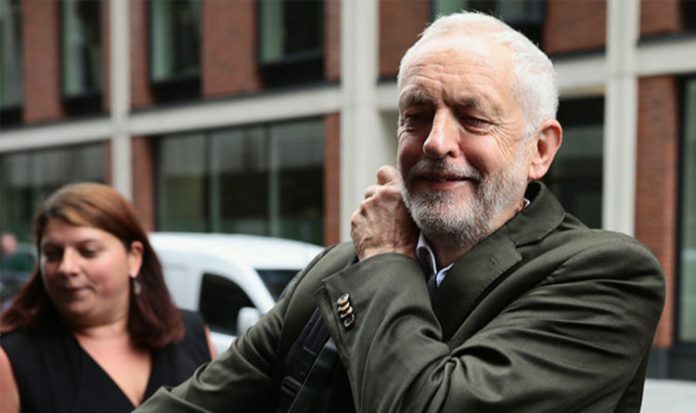 Jewish members and organisations had condemned the party for developing its own definition of anti-Semitism when it originally rejected the IHRA definition of antisemitism in July. Shadow Brexit secretary Sir Keir Starmer said on Monday adopting the definition in full is “a necessary minimum to begin to restore trust”. Former prime minister Gordon Brown has also supported the move. Mr Corbyn himself has been under intense scrutiny for his past actions, comments and associations, which led many to accuse him of anti-Semitic behaviours. The Labour leader had apologised in August for appearing at a 2010 event at which a Holocaust survivor compared Israel to Nazism. Last week he was condemned by former chief rabbi Lord Sacks for comments he made criticising British Zionists for not understanding “English irony”.